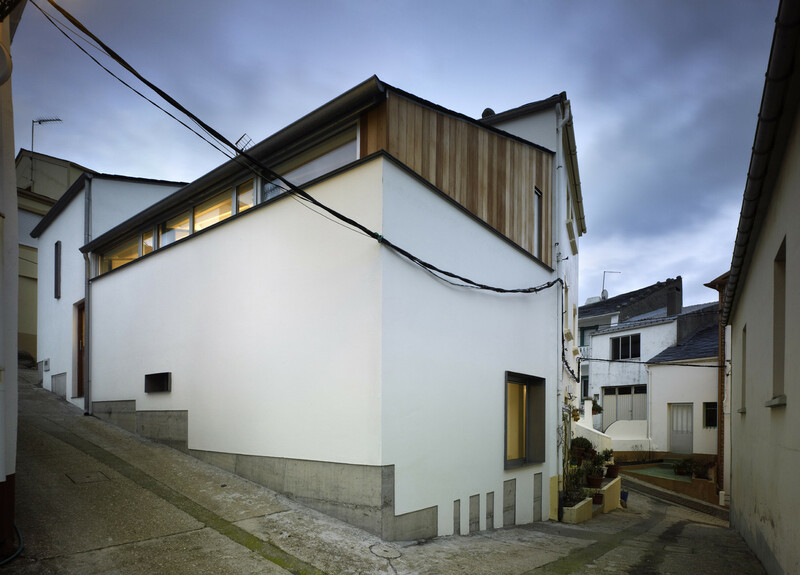 In the Spanish town of A Coruña, OCO Studio built a spacious sun-filled home. With the liberal use of glass and open space, the home’s visual space is increased tremendously. From the street, the stone house looks traditional, much like the homes that surround it. The interior, however, is more modern, spacious and flexible enough that it could be used as a family home or a mixed-use residential and studio space. 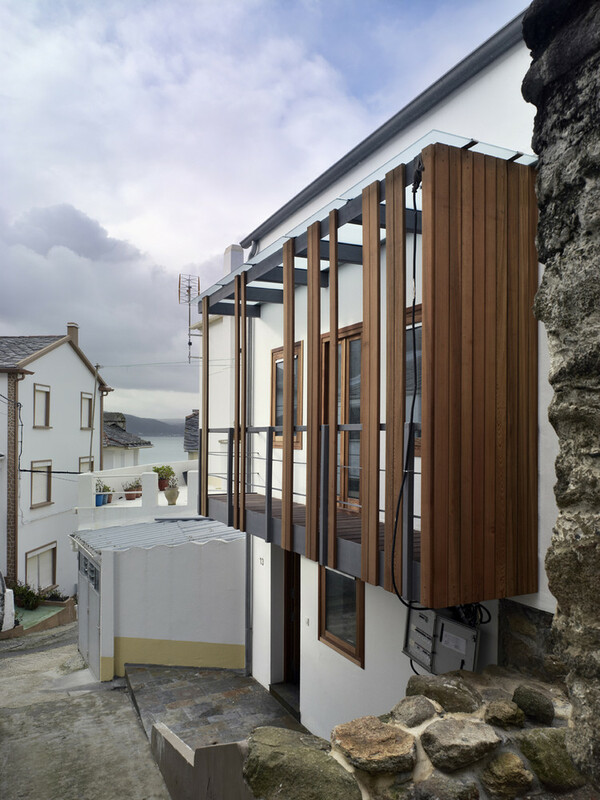 The home’s open plan allows light to enter from all directions and to pass through the house at all angles. 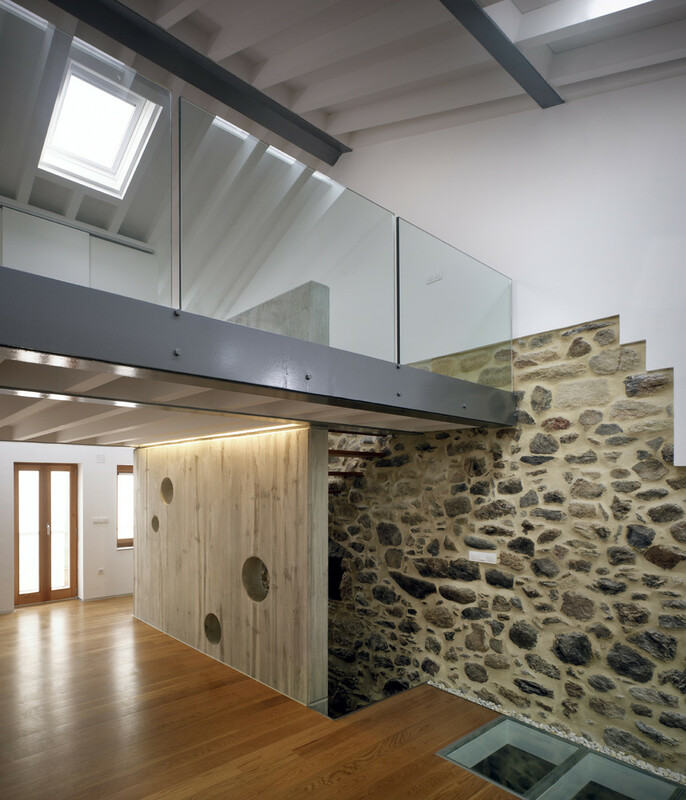 The stairs have no risers to allow more light to penetrate the interior of the home. 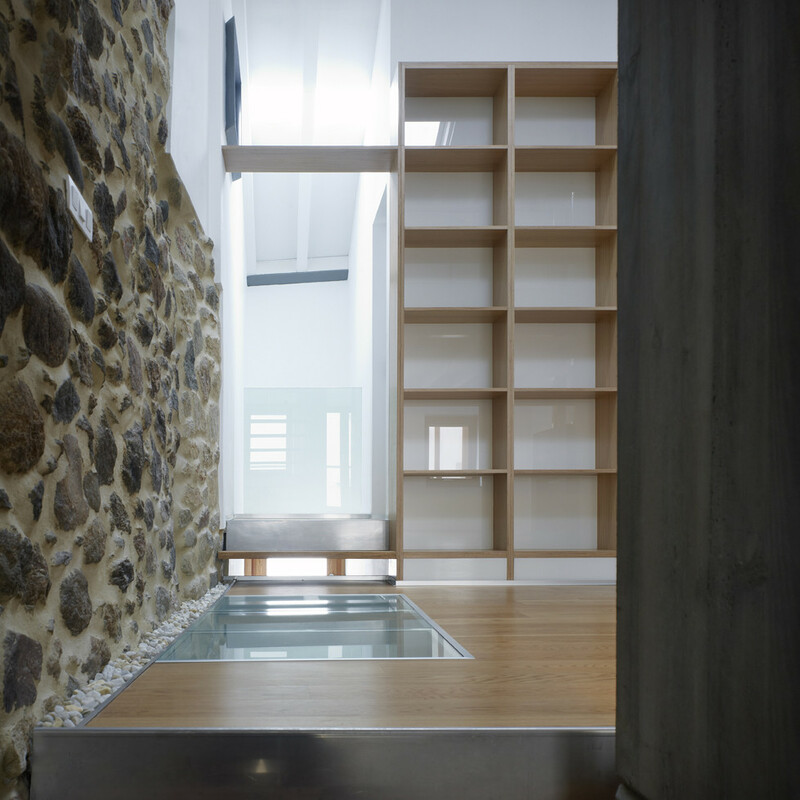 The public areas of the home appear to have double height thanks to the strategic placement of skylights and an open glass mezzanine. Stone walls add rustic charm to the otherwise-modern interior. But a modern slate wall opposite the fireplace – complete with randomly placed circular cutouts – blends with that rustic element and acts as another means for light to freely flow through the home. Part of the floor in the main living area is composed of laminated glass. This allows light to pass freely down to the ground level. This level is home to a large storage area with lighted opaque glass and a beautifully bright polished stone floor. The very top level houses an open mezzanine with a spacious slanted ceiling. 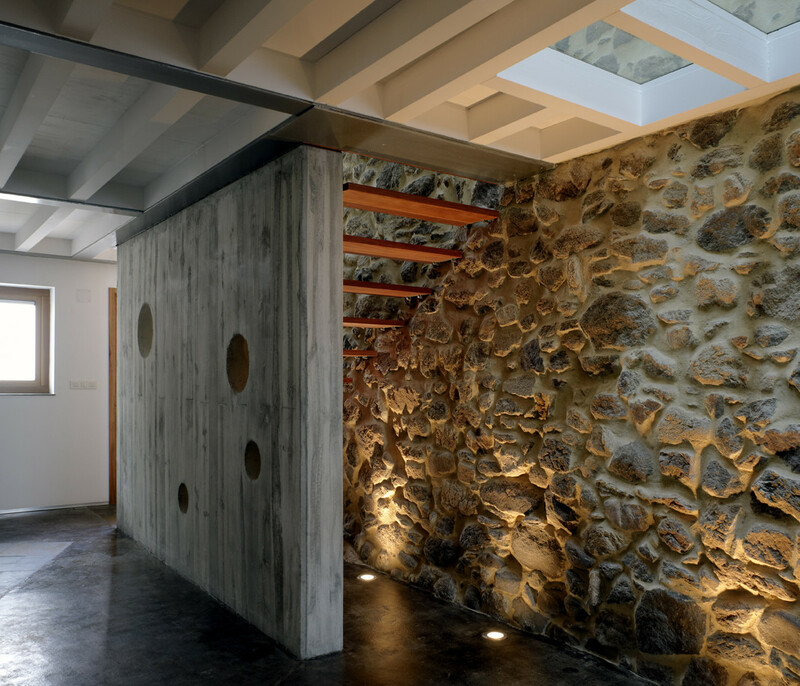 The skylights in the home’s roof and the high mezzanine windows connect the main level of the home and the mezzanine, with light passing through the glass dividing wall and down into the living area.